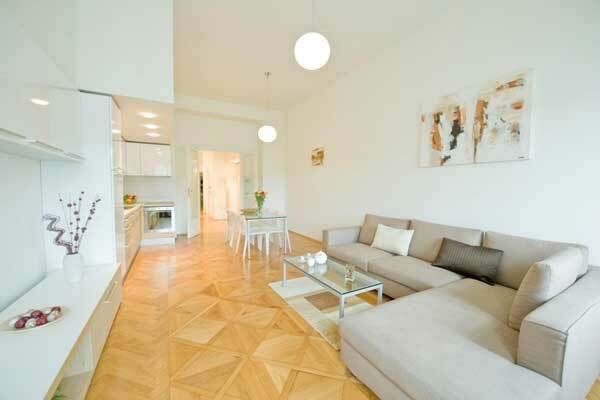 Discover new possibilities of accommodation in Prague! Are you planning to travel to Prague for a weekend? More and more tourists are discovering the beauty of this unforgettable capital city of Czechia. Where can you find the right accommodation to enjoy the city’s buzz the most? Most tourists tend to choose a typical hotel. There are much more possibilities in Prague though! Only a few people know about advantages of Prague apartments which you can rent for a very reasonable price in the city center. Let’s compare hotels and apartments together so you can choose the right option suitable just for you. Who are Prague apartments for? The main difference between accommodation in a hotel and an apartment is the size of the rooms. You can fit more people into an apartment than any hotel room. This makes apartments a suitable accommodation for families and bigger groups of tourists and business people. Couples searching for a romantic getaway in Prague will appreciate maximum privacy and immediate closeness of city center’s buzz and cultural happenings. Amongst tourists, you can find the ones who simply love the atmosphere of hotels. These types of visitors would be able to spend their life in hotel’s lobby. You will not find any reception desk or lobby in apartments. On the other hand, the thing you will find when renting an apartment is the magic of experiencing life in Prague like a local inhabitant. You will live near the locals, and your apartment will provide you with the vibe of life in the city center. And that counts for a lot! When it comes to facilities, the apartments usually offer full equipment. The equipped kitchens will give you the home-like feeling as well as saving your money. Plus you can cook whatever you feel like. Of course, someone likes to be pampered with a hotel restaurant, and not everybody wants to spend time cooking during their holiday. In a hotel, you don’t have to care about food at all. All you need to do is go to a restaurant or order a room service. A significant advantage of the apartment is that they ordinarily have washing machines and irons which you will highly appreciate when you unpack your creased and not exactly fresh clothes. There is one significant advantage of hotels. Hotels do offer full service. Tourists who are used to the constant presence of hotel workers will miss a reception and a room service in a rented apartment. In the flats, there is not always somebody who can solve a problem immediately. However, there is a constant support on the phone, so any problem will be solved in a while. Apartments and hotels both usually offer additional service like airport taxi, city guide, cleaning service, etc. You will experience more individual approach in an apartment as the workers can spend time with you during the check-in and give you some useful pieces of advice. The cost of an apartment is the same or lower than the one you pay for a hotel. Especially when you count a rate for one person. The cost of apartments ranges between €50 to €150 per night depending on the location and season. You will often get a bigger space for a lower price than in hotels. Moreover, apartments are sometimes in areas where you will not even see a hotel. 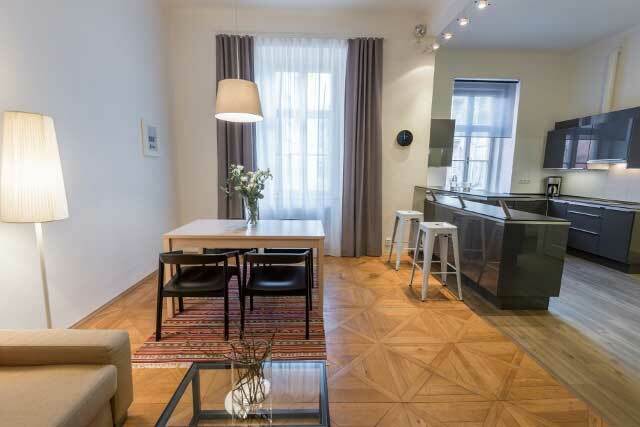 Several companies offer apartment rentals in the center of Prague. These were the primary advantages and disadvantages of accommodation in hotels and apartments. The wandering souls of each of us are quite diverse, and everybody enjoys different service. It is utterly up to you which type of accommodation you will use to benefit from the holiday in Prague. Some of you might not even need a hotel or an apartment. We are sure that the beauty of Prague is going to astonish you anyway.